Exclusive for high signage, sky signage, wall and building signage. We introduce our business as a noteworthy organization of qualitative array of Architectural Lettering. 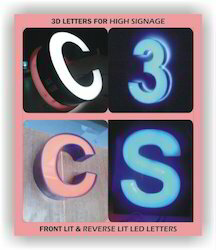 We manufacture and offer a wide range of LED signages including channel letters with back glow/front glow and bright light & edge light signages. These signages provide high impact and affordable solution for selling products at various spaces. 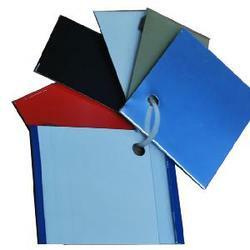 We also provide customized product solution to our clients. Letters (A to Z) capital (& sign)- 27pcs - Figures: 0 to 9(9 Pcs.). - Fully hardened and tempered. - Stamp Size: To Order.